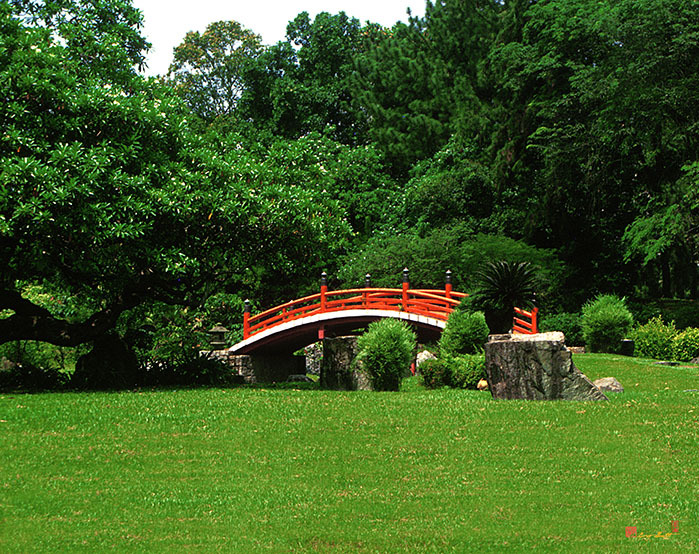 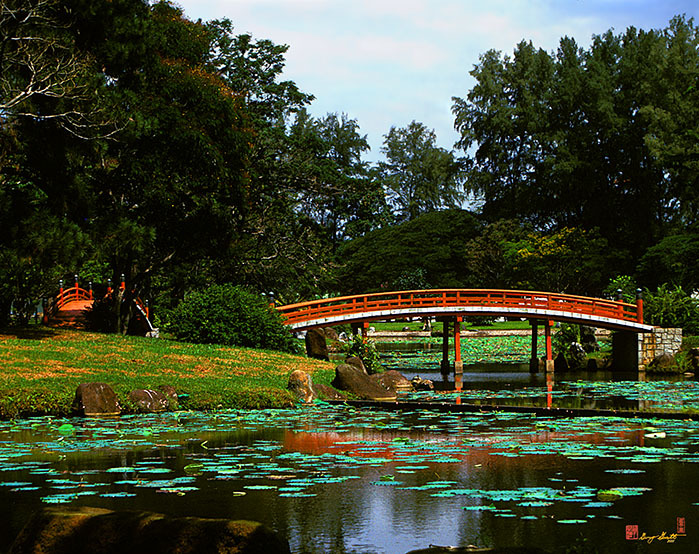 The Japanese Gardens with traditional arching bridges. 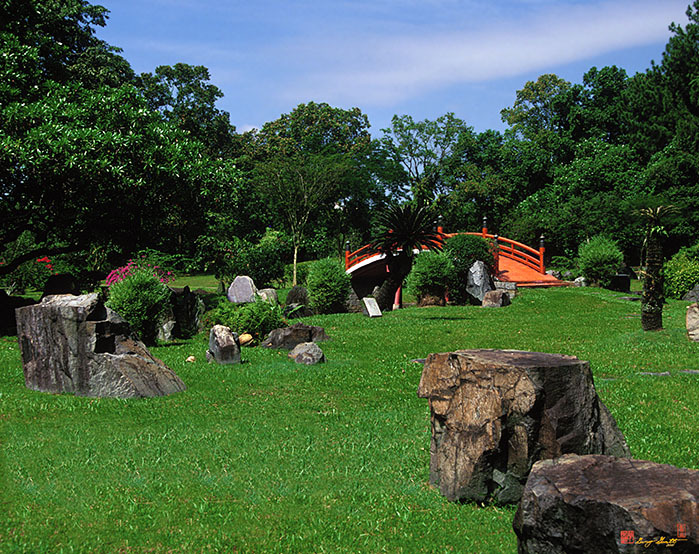 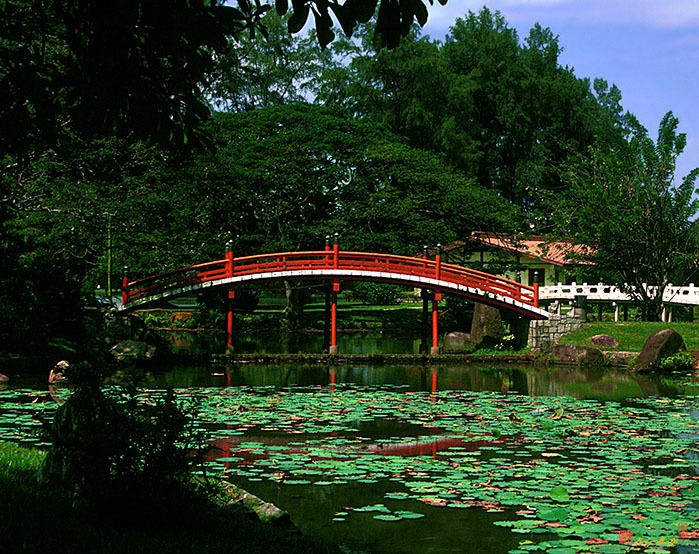 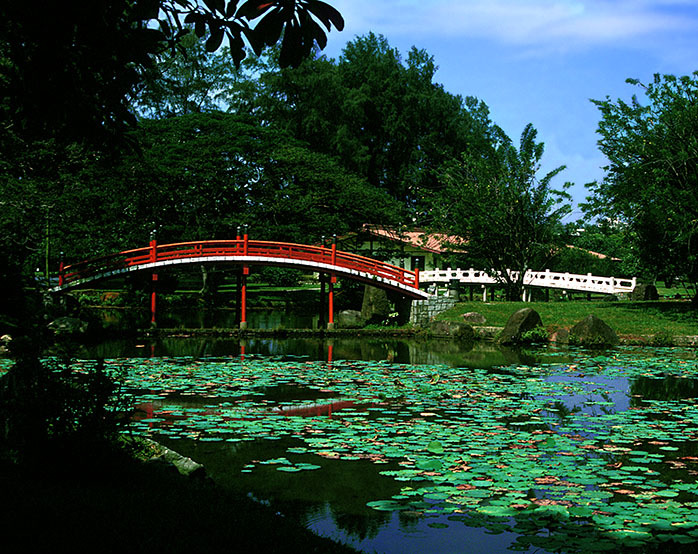 The Japanese Gardens are reached from the Chinese Gardens via a 65 m long bridge. 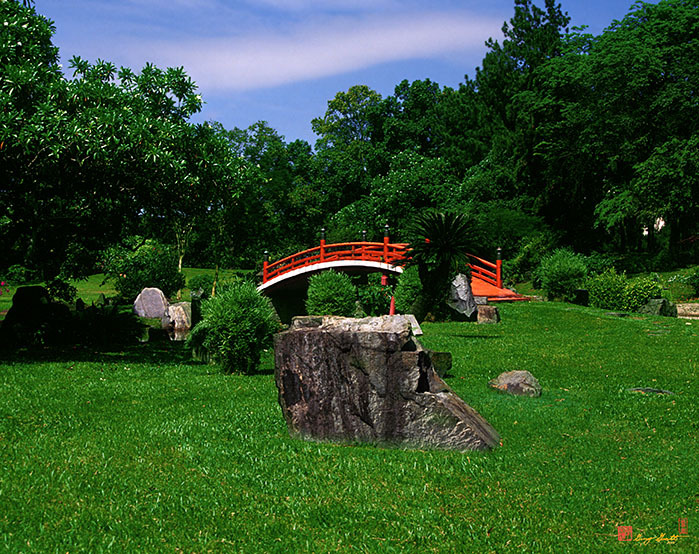 Also called "The Garden of Tranquility", the garden expresses a stark simplicity with small shrubs, stone lanterns and a miniature waterfall all conspiring to induce a feeling of calm serenity. 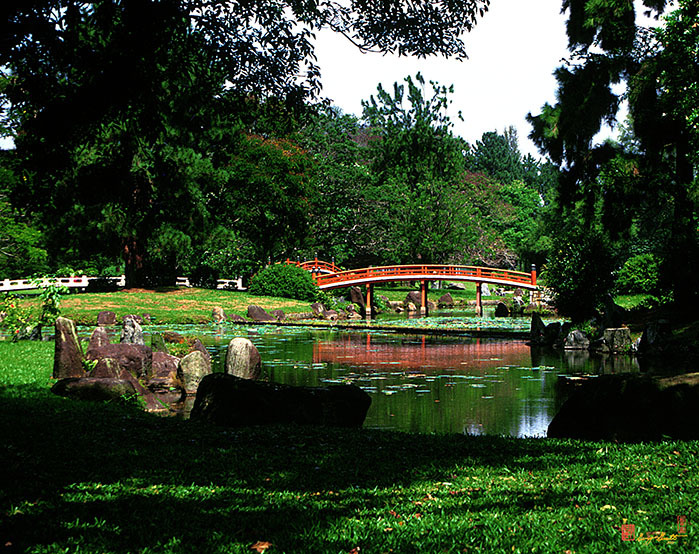 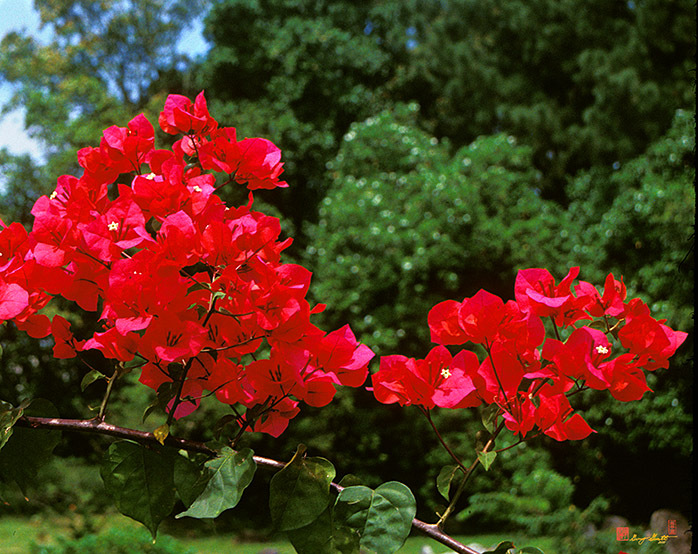 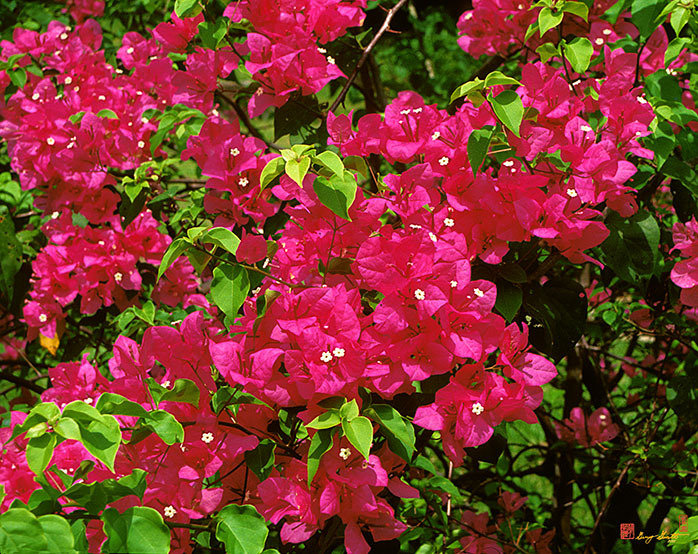 Scenic Photography by Gerry Gantt from Singapore, a Mix of Many Cultures.